Be a global or regional institution, or network. Agree with the values and approaches of GLTN and be interested in the advancement of GLTN’s strategic plan. Be prepared to make a substantive contribution to the Network. Join the network for non-commercial purposes. Sign onto the GLTN Partnership Charter. The Cities Alliance is a global partnership for urban poverty reduction and the promotion of the role of cities in sustainable development. The Cities Alliance was created in 1999 when 10 donor governments joined the World Bank, UN-Habitat and the major international associations of local authorities to form a new partnership aimed at focusing on two key issues: the growth of slums and the management of cities where slum growth was taking place. FAO works to promote coherent approaches to sustainable land and water management. FAO’s work in land and water is relevant to several dimensions of sustainable development, such as the governance and management of food production systems; the provision of essential ecosystem services; food security; human health; biodiversity conservation; and the mitigation of, and adaptation to, climate change. FAO engages in a wide range of partnerships and collaborative ventures, both within and outside the Organization. Through projects, studies and information-sharing, FAO helps increase scientific understanding of the biophysical and socioeconomic relationships between land and water resources at the landscape scale, and it provides member countries with policy guidance aimed at achieving greater management coherence among sectors. 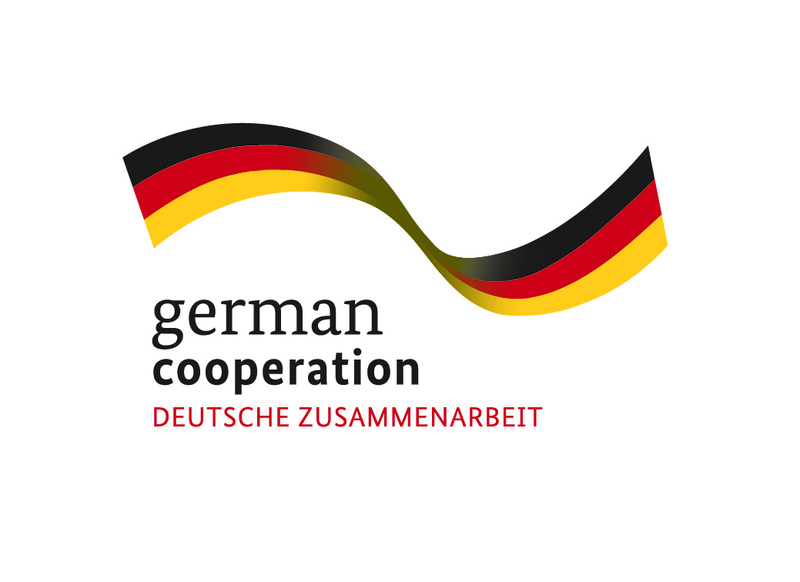 Bundesministerium für wirtschaftliche Zusammenarbeit und Entwicklung (BMZ) BMZ works to promote Economic Development within Germany and in other countries through international cooperation and development. BMZ is very involved in fighting poverty, eradicating hunger and disease, improving education, fostering democracy and peace, realizing human rights and equal opportunities, preserving the environment and its natural resources among others. Through the special initiative One world, No hunger “Eine Welt ohne Hunger” , the BMZ is making the fight against hunger and malnutrition one if its key concerns. One of the six key pillars of this initiative is “Secure and fair access to resources and land”, which ties in with GLTN’s mission to secure land and property rights for all. As a provider of international cooperation services for sustainable development and international education work, GIZ is dedicated to building a future worth living around the world. GIZ has over 50 years of experience in a wide variety of areas, including economic development and employment, energy and the environment, and peace and security. The diverse expertise of our federal enterprise is in demand around the globe, with the German Government, European Union institutions, the United Nations, the private sector and governments of other countries all benefiting from our services. 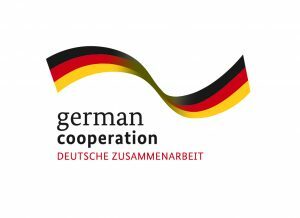 The German Federal Ministry for Economic Cooperation and Development (BMZ) is our main commissioning party. 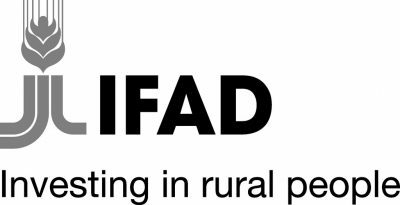 IFAD is a specialized agency of the United Nations, was established as an international financial institution in 1977 as one of the major outcomes of the 1974 World Food Conference. IFAD is dedicated to eradicating rural poverty in developing countries and enabling the Rural Poor to Overcome Poverty. The Millennium Challenge Corporation (MCC) is a United States Government corporation designed to work with some of the poorest countries in the world. Established in January 2004, MCC is based on the principle that aid is most effective when it reinforces good governance, economic freedom and investments in people. MCC’s mission is to reduce global poverty through the promotion of sustainable economic growth. The Ministry of Foreign Affairs of France supports the development of transparent, joint land governance, based on multi-stakeholder dialogue. Their aim is to promote land tenure systems that respect the variety of rights and sources of legitimacy, in order to foster equitable and sustainable development; through policies that seek to strike a balance between the rights and responsibilities of the various stakeholders and to take into account historical practices and changing local rights, as part of a long-term vision. The Ministry of Foreign Affairs is the channel through which the Dutch Government communicates with foreign governments and international organisations. It coordinates and carries out Dutch foreign policy. Based on the policy programme of the first Rutte Government, the government sees its mission as being to promote the security and well-being of the Netherlands and the Dutch people, and to that end it will focus on international stability and security, energy and raw material security, the international legal order (including human rights) and the commercial and economic interests of the Netherlands and Dutch businesses. All this was set down in the coalition agreement of October 2010, and will remain unchanged in 2012. A greater emphasis will be placed on economic diplomacy. In addition, development cooperation, the international legal order and active involvement in European and transatlantic partnerships will remain cornerstones of Dutch foreign policy. These principles have been translated into an integrated policy with three pillars: security, prosperity and freedom. According to the Constitution, which was adopted in 1814, Norway is a monarchy in which the power is divided between three branches: a legislative branch which is also responsible for appropriations, the Storting; an executive branch, the Government; and a judicial branch, the courts. The main tasks of the Ministry of Foreign Affairs are to promote Norway’s interests internationally and provide assistance to Norwegian nationals abroad. An important part of the Ministry’s work is to make sure that Norway ‘speaks with one voice’ in international forums. In this context, the Ministry works to coordinate the efforts of other ministries and give guidance. The Swedish Agency for International Development Cooperation, Sida, is a government agency under the Ministry for Foreign Affairs. Sida’s goal is to contribute to making it possible for poor people to improve their living conditions. The Swiss Agency for Development and Cooperation (SDC) is Switzerland’s international cooperation agency within the Federal Department of Foreign Affairs (FDFA). In operating with other federal offices concerned, SDC is responsible for the overall coordination of development activities and cooperation with Eastern Europe, as well as for the humanitarian aid delivered by the Swiss Confederation. The United Nations Economic and Social Commission for Asia and the Pacific (ESCAP) is the regional development arm of the United Nations for the Asia-Pacific region. Made up of 62 member States, with a geographical scope that stretches from Turkey in the west to the Pacific island nation of Kiribati in the east, and from the Russian Federation in the north to New Zealand in the south, the region is home to 4.1 billion people, or two thirds of the world’s population. The Economic Commission for Africa (ECA) was established by the Economic and Social Council (ECOSOC) of the United Nations (UN) in 1958 as one of the UN’s five regional commissions. ECA’s mandate is to promote the economic and social development of its member States, foster intra-regional integration, and promote international cooperation for Africa’s development. ECA’s dual role as a regional arm of the UN, and a part of the regional institutional landscape in Africa, positions it well to make unique contributions to member States’ efforts to address their development challenges. The Land Policy Initiative or LPI is a joint programme of the tripartite consortium constituted by the AUC, UNECA and the AfDB, in order to make land play its proper role in African development. The programme is Governed by a Steering committee meeting periodically, while a joint secretariat is implementing day to day activities. The secretariat is assisted by an African Task force on land. The United Nations Environment Programme (UNEP) is mandated by the UN General Assembly to provide leadership and encourage partnership in caring for the environment by inspiring, informing, and enabling nations and peoples to improve their quality of life without compromising that of future generations. The United Nations Human Settlements Programme (UN-Habitat) is mandated by the UN General Assembly to promote socially and environmentally sustainable towns and cities with the goal of providing adequate shelter for all. UN-Habitat hosted the Legal Empowerment National Consultation in Kenya and is actively contributing to the Working Groups. The World Bank Group is a vital source of financial and technical assistance to developing countries around the world. We are not a bank in the common sense. We are made up of two unique development institutions owned by 185 member countries’the International Bank for Reconstruction and Development (IBRD) and the International Development Association (IDA). Each institution plays a different but supportive role in our mission of global poverty reduction and the improvement of living standards. The Arab Union of Surveyors (AUS) includes professional organizations and surveyors from Arab countries. Their main objective is ensuring the highest level of services necessary to provide security of property / land to people and especially disadvantaged groups. The quality of services of AUS members is the result of a legal and technical training demanding and professional obligations guaranteed by their member organizations. Cadasta develops and promotes the use of simple digital tools and technology to help partners efficiently document, analyze, store, and share critical land and resource rights information. By creating an accessible digital record of land, housing and resource rights, Cadasta helps to empower individuals, organizations, communities, and governments with the information they need to make data-driven decisions and put vulnerable communities and their needs on the map. The Cadasta platform and suite of open source tools are build based on user needs and are currently in use in countries across the globe. The China Land Surveying and Planning Institute (CLSPI) is a comprehensive public institution under the Ministry of Natural Resources. Its main duty is to provide knowledge-based support for decision-making and technical guarantees for land and resource management. This promotes reform and innovation of sustainable land use and management and land science and technology. CASLE is a federation of independent professional societies representing surveying and land economy in Commonwealth countries. It currently comprises over 40 societies in 32 countries; it has approved Associate Members and correspondents, some of whom are in 19 other countries. The professional societies represented cover the disciplines of surveying and mapping, land economy, and quantity surveying & cost-control. The Fédération des Géomètres Francophones (FGF), created in 2005 in Rabat, Morocco, brings together 27 surveyors’ organizations from French-speaking countries on three different continents (Africa, the Americas and the Caribbean and Europe and the Middle East). FGF has become the world’s leading francophone network of professionals and teachers working in the field of earth measurement, representation at all scales, property definition and valuation, and land use planning. FGF is also a member of the Réseau des Associations de Professionnels Francophones (RAPF) which is part of the Organisation internationale de la francophonie (OIF). The International Federation of Surveyors is an international, non-government organisation whose purpose is to support international collaboration for the progress of surveying in all fields and applications. The International Union for Land Value Taxation and Free Trade (IU) was founded in 1926 with the purpose of promoting improved social conditions in all nations. Today the IU consists of an international group of interested people, from various walks of life, who enjoy the challenge of organizing, re- searching and understanding the social and economic forces which can either undermine or restore the quality and stability of life within communities. Fundamental to this is an understanding of the relationship between land tenure and taxation. The International Union of Notaries Represents notariats before international organizations; organizes exchange and diffusion of information and publications on law, international private law and comparative legislation. Consultative Bureaux in member countries. Commissions examine specific problems in depth and cooperate with international organizations in preparation of conventions or EEC directives in legal matters where the notary can contribute as a qualified lawyer working for the service of the community and as responsible for application of the law. Kadaster collects and registers administrative and spatial data on property and the rights involved. This also goes for ships, aircraft and telecom networks. Doing so, Kadaster protects legal certainty. We are also responsible for national mapping and maintenance of the national reference coordinate system. Furthermore, we are an advisory body for land-use issues and national spatial data infrastructures. Korea Land and Geospatial InformatiX Corporation -LX Corporation (formerKorea Cadastral Survey Corporation) is the national agency responsible for handling spatial information, cadastral surveys, protecting property rights of the people and effective managing the Korean territory. Lantmateriet, the Swedish mapping, cadastral and land registration authority, is a government agency in Sweden under the Ministry of Enterprise and Innovation that provides information on Swedish geography and property. Surveying, mapping and land registration in Sweden dates back to the 1600s. The Open Source Geospatial Foundation, or OSGeo, is a not-for-profit organization whose mission is to support the collaborative development of open source geospatial software, and promote its widespread use. The foundation provides financial, organizational and legal support to the broader open source geospatial community. The Regional Centre for Mapping of Resources for Development (RCMRD) was established in Nairobi – Kenya in 1975 under the auspices of the United Nations Economic Commission for Africa (UNECA) and the then Organization of African Unity (OAU), today African Union (AU). RICS is the world’s leading professional body for qualifications and standards in land, property and construction. As people, governments, banks and commercial organisations continue to demand more assurance of certified standards and ethics, attaining RICS status is the recognised mark of property professionalism. Norwegian Mapping and Cadastre Authority’s Centre for Property Rights and Development assists the Norwegian Ministry of Foreign Affairs and the Norwegian Agency for Development Cooperation (NORAD), and represents a competent and effective supplier of services to international processes as well as to specific aid projects within the real property area. It is particularly dedicated to improved effectiveness and results of Norwegian aid projects on evolving legal rights of the poor. Ranking number 67, Aalborg University has moved into Times Higher Education’s brand new list of the world’s best young universities. The Times list defines ‘young universities’ as universities of an age of less than 50 years. The new list of the world’s best young universities is complimentary to the Times World University Rankings of the world’s best universities regardless of age, which is published every fall. In the fall of 2011, Aalborg University ranked number 362 on that list. An independent not for profit research bureau created with the aim of contributing to an overarching vision in strategic policy-research, capacity-building and skills-training to engineer social and economic co-operation and integration in the Great Lakes region and Africa at large. Founded in 1999, the Association of African Planning Schools (AAPS) is a voluntary, peer-to-peer network of African institutions which educate and train urban and regional planners. Our members are drawn from all regions of Africa (Botswana, Egypt, Ethiopia, Ghana, Kenya, Malawi, Morocco, Mozambique, Namibia, Nigeria, Rwanda, South Africa, Sudan, Tanzania, Togo, Uganda, Zambia, Zimbabwe). Centre for Land Tenure Studies (CLTS) is established by UMB’s departments UMB School of Economics and Business, International Environment and Development, Landscape Architecture and Spatial Planning, and Ecology and Natural Resource Management to further joint research, teaching and dissemination on land tenure and related issues. The portal ‘Land and Development’ aims to become a key access point for all those – operators, technicians, politicians, policymakers and researchers – who seek information on the subject land and management of renewable resources, carries high stakes for the growth of developing countries. Born of the Technical Committee’s work ‘Land and Development’ of the French Cooperation, this site collects and offers primarily French resources now inaccessible. The Eastern Africa Land Administration Network (EALAN) is a platform where mainly academic partners share ideas, experiences and plans for improving land administration education/training and research in the region. IASS aims at exploring new paths, encouraging lateral thinking and scientific excellence. It will analyze existing knowledge, generate new ideas and develop strategically relevant fields of research to further the understanding of climate change and the earth system. IHS is an international centre of excellence associated with the Erasmus University Rotterdam and operating on a global scale that offers specialized post graduate education, training, advisory services and applied research in the fields of urban management, housing and urban environment with the mission to develop human and institutional capacities to reduce poverty and improve the quality of life in cities. The Institute for International Urban Development (I2UD), is a registered, non-profit organization specializing in urban planning that Informs decision makers and educators; Improves the lives of citizens; Unites policy makers, local leaders, planners and donors; and Delivers recommendations that serve the community. The purpose of the Alliance is to address land tenure issues and inequities, world-wide. Land access, use, transfer and title security affect capital inputs, agricultural productivity and rural incomes. In many countries, this poses important constraints on rural economic development, wealth distribution and poverty alleviation. In many transitional economies land policy and land law reform are identified as among the top national development priorities. IIED is an international policy research institute and non governmental body working for more sustainable and equitable global development. IIED acts as a catalyst, broker and facilitator and helps vulnerable groups find their voice and ensure their interests are heard in decision-making. Environmental sustainability is a core concern but not at the expense of people’s livelihoods. The International Institute of Rural Reconstruction is a small international development, research and training organization with over 80 years of grassroots experience working in people-centered, sustainable development in Africa, Asia and Latin America. IIUM is a unique university either in Malaysia or on a broader plane of the world. Since its inception English is used both as its medium of instruction and the language of its administration. It blends harmoniously modern and professional disciplines with traditional values and moral virtues. Its students originate from more than 90 countries representing nearly all regions of the world. IIUM has spared no effort to ensure that it provides the best tertiary education possible in all branches of knowledge. 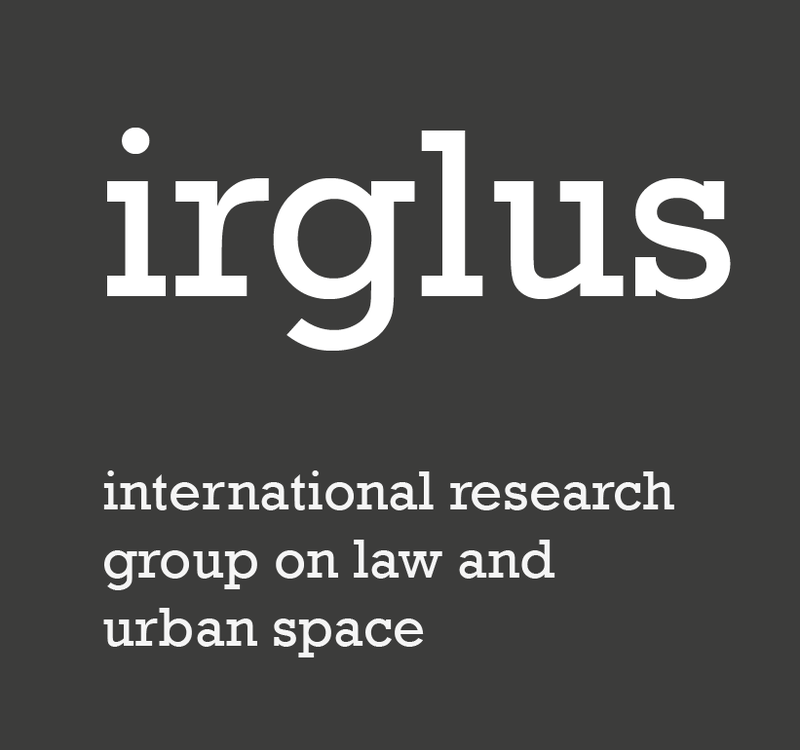 The International Research Group on Law and Urban Space-IRGLUS was formed in 1993, aiming to gather professionals from diverse backgrounds – jurists, geographers, sociologists, political scientists, city planners, environmentalists, etc. – and different affiliations – academics, policymakers, government officers, public administrators, NGOs, etc. – who are doing research/are interested in the interface between law and urbanisation. LANDac, the Netherlands Land Academy, is a partnership between Dutch organisations and their Southern partners working on land governance for equitable and sustainable development. 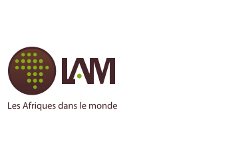 LANDac was formed in 2010 in response to the need to strengthen the role of knowledge and research in sustainable development, poverty alleviation and international cooperation. 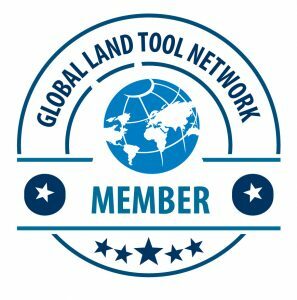 The Land Portal’s mission is creating the leading online resource for information, data and knowledge-exchange on land governance issues. By working with partners, the Land Portal is building a better information ecosystem that will support all stakeholders to engage in more informed and inclusive land governance research, debate, advocacy and policy making. Grounded in the knowledge that having legal rights to land is the foundation for prosperity and opportunity, Landesa partners with governments and local organizations to ensure that the world’s poorest families have secure rights over the land they till. Founded as the Rural Development Institute in 1967, Landesa has helped more than 100 million families gain legal control over their land, unlocking sustainable economic growth and advancing education, nutrition, and conservation efforts. The Africa in the world (LAM), UMR 5115 of CNRS and Sciences Po Bordeaux, was born on January 1, 2011 from the merger of the Centre for the Study of Black Africa (CEAN, Sciences Po Bordeaux) and Centre studies and research on East African countries (CREPAO, University of Pau and Pays de l’Adour, UPPA ), joined by researchers and professors of universities Michel de Montaigne-Bordeaux and Victor Segalen Bordeaux. Terra Institute Ltd. is a private, non-profit corporation that focuses on issues concerning urban and rural land use and policies, environmental protection, land law and natural resource management. The Technical University of Munich is a research university with campuses in Munich, Garching, and Weihenstephan. TUM is among the highest acclaimed universities in Germany, producing several Nobel Laureates. RMIT is a global university of technology and design and Australia’s largest tertiary institution. The University enjoys an international reputation for excellence in professional and vocational education and outcome-oriented research. N-AERUS is a pluridisciplinary network of researchers and experts working on urban issues in Developing countries. It was created in March 1996 by a group of European researchers. 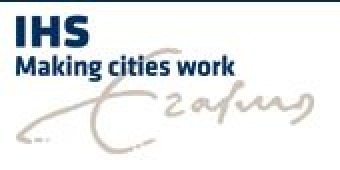 Its objective is to mobilise and develop the European institutional and individual research and training capacities on urban issues in the South with the support of institutions and individual researchers with relevant experience in this field. N-AERUS will work in association with researchers and institutions in developing countries. The University of East London (UEL) is a public university in the London Borough of Newham, London, England, based at three campuses in Stratford and Docklands, following the opening of University Square Stratford in September 2013. The university’s roots can be traced back to 1892 when the West Ham Technical Institute was established. It gained university status in 1992. As of October 2015, it has more than 19,000 students from 120 countries. The University of Florida (UF) is a major, public, comprehensive, land-grant, research university. The state’s oldest and most comprehensive university, UF is among the nation’s most academically diverse public universities. UF has a long history of established programs in international education, research and service. It is one of only 17 public, land-grant universities that belongs to the Association of American Universities. The University has four campuses that serve diverse communities across the Caribbean region – Cave Hill in Barbados, St. Augustine in Trinidad and Tobago, Mona in Jamaica and the Open Campus – all of which deliver high-quality education, research and services to all 15 contributing countries that support the University, as well as the Turks & Caicos Islands. The University of the West Indies currently has a total enrolment of over 39,000 students and graduates annually approximately 5,800 students (at undergraduate, graduate and diploma levels). ITC is the University of Twente’s Faculty of Geo-Information Science and Earth Observation. Our mission is to develop capacity particularly in less developed countries and to utilize geospatial solutions to deal with national and global problems. The Urban Training Institute – UTI is a quasi-private organisation affiliated to the Housing and Building National Research Centre– (HBRC). HBRC is a national governmental research establishment which was founded in 1954. It is subordinated to the Ministry of Housing, Utilities, and Urban Communities. AGRA works to achieve a food secure and prosperous Africa through the promotion of rapid, sustainable agricultural growth based on smallholder farmers. Smallholders-the majority women-produce most of Africa’s food, and do so with minimal resources and little government support. AGRA aims to ensure that smallholders have what they need to succeed: good seeds and healthy soils; access to markets, information, financing, storage and transport; and policies that provide them with comprehensive support. ActionAid helps people fight for the rights that they are denied. Simple things, like the right to eat. The right to stay on their land. To an education. To have a say in the decisions that shape their lives. ActionAid are not about giving handouts or telling people what to do, because in the long run they know that doesn’t work. Instead, they use their resources, influence and experience to help people find their own solutions. When ACHR was formed in 1988, there was no common or regular forum for urban social activists, NGOs, professionals and especially for grassroots or community groups working in Asian cities to meet and exchange ideas. During the UN International Year for Shelter for the Homeless in 1987, several regional processes were organized which encouraged groups to share their experiences in addressing issues of urban poverty and housing and to discuss regional collaboration. Founded in 1979, ANGOC is a regional association of 20 national and regional networks of non-government organizations (NGO) in Asia actively engaged in food security, agrarian reform, sustainable agriculture, participatory governance and rural development. Founded in 1973, the Development Workshop (DW) has worked in over forty countries on human settlements development projects, research and policy advocacy. FIDA is an international Non-Governmental Organisation (NGO) in consultative status with the economic and social council of the United Nations (ECOSOC). Organised in 1944 at Mexico City, the group was originally known officially by its Spanish name, Federacion Internacional de Abogadas. Its mission is to promote the welfare of women and children and the principle and aims of the United Nations in their legal and social aspects. FIDA obtained UN Consultative status in 1954. 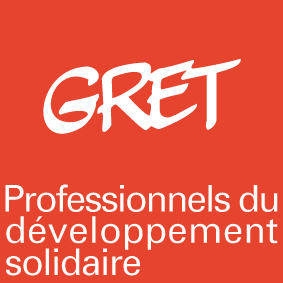 GRET, a Professional Solidarity and International Cooperation Association established in 1978, is a professional solidarity and international cooperation association. In Africa, Asia, and Latin America, as well as in Europe, we work to contribute to sustainable, fair development and alleviate poverty and structural inequalities. Our actions aim to increase the incomes of rural and urban populations, reduce their vulnerability, improve their access to quality infrastructures and services, and develop their ability to be heard. In Africa and the Middle East (AME), Habitat for Humanity is building homes in 15 countries. By working in partnership with families to provide safe affordable shelter, Habitat empowers them to break the cycle of poverty and build the foundation for a secure future. HIC is an independent international nonprofit Coalition of organisations and individuals working in the field of human settlements. It was organized in 1976 as a nongovernmental counterpart to the UN Commission on Human Settlements, and both emerged from the process of convening the first Habitat conference at Vancouver (Canada), in 1976. The Huairou Commission is a global membership and partnership coalition that empowers grassroots women’s organizations to enhance their community development practice and to exercise collective political power at the global level. Driven by grassroots women’s organizations from around the world, the members and partners of the Huairou Commission believe it is in the best interest of local communities and the global development field for grassroots women leaders to expand their participation and leadership in community development work on the issues that affect their daily lives. ILC is a global alliance of civil society and intergovernmental organizations working together to promote secure and equitable access to and control over land for poor women and men through advocacy, dialogue and capacity building. Founded in 2013, LAW is an independent, non-profit organisation comprised of a network and think tank of prominent human rights lawyers and advisors. LAW provides innovative legal assistance to the least represented people, especially women and children, in fragile and conflict-affected states. LAW’s thematic focuses are gender-based violence and Housing Land and Property (HLP) issues. Namati was founded in 2011 with the objective of growing a robust, evidence-based, global field around community paralegals, legal empowerment, and primary justice services. Namati is building a global movement of grassroots advocates who give people the power to understand, use, and shape the law. These advocates form a dynamic, creative frontline that can squeeze justice out of even broken systems. The Norwegian Refugee Council (NRC) is an independent, humanitarian, non-profit, non-governmental organisation which provides assistance, protection and durable solutions to refugees and internally displaced persons worldwide. An international confederation of 17 organizations working together with partners and local communities to find practical, innovative ways for people to lift themselves out of poverty and thrive. Protimos uses the law to create and ensure economic growth. Healthy legal systems, accessible to all, provide marginalised communities with opportunities to prosper; they entice inward investment, and underpin democracy. Slum Dwellers International (SDI) is a global network of organizations of the urban poor.Legal Empowerment is working with the SDI network to give a voice to people living and working in urban settlements, through National Consultations and advocacy in Africa, Asia and Latin America. World Vision is a Christian relief, development and advocacy organisation dedicated to working with children, families and communities to overcome poverty and injustice. Inspired by our Christian values, we are dedicated to working with the world’s most vulnerable people. We serve all people regardless of religion, race, ethnicity or gender.